Reliable, yet less expensive. Is that possible? Yes! For years much of the cost of an installed hazard monitoring system has been in piping and wiring. Our hazard monitoring systems were designed to communicate wirelessly from the start. It wasn’t an add on or a modification. Consistent operation is ensured with self diagnostics, transmission logging, and redundant receivers. It is now possible to invest in better sensors, better displays, and more intelligent controls, providing system reliability, ease of use, and fewer false alarms. Buy functionality not costly installation. 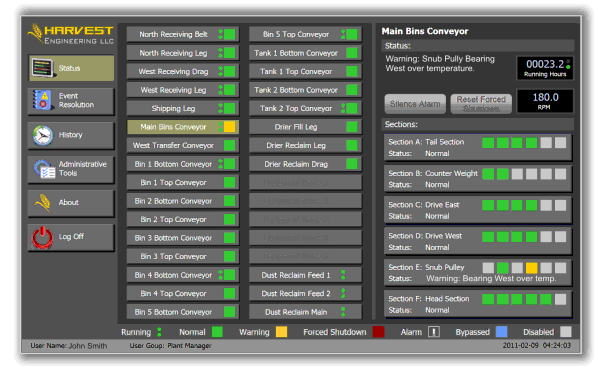 Full Insta-Link Advanced Hazard Monitoring systems product listing coming soon. Call for information and pricing. 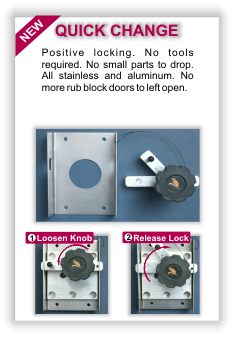 Positive locking. No tools required. No small parts to drop. All stainless and aluminum. No rub block doors left open.